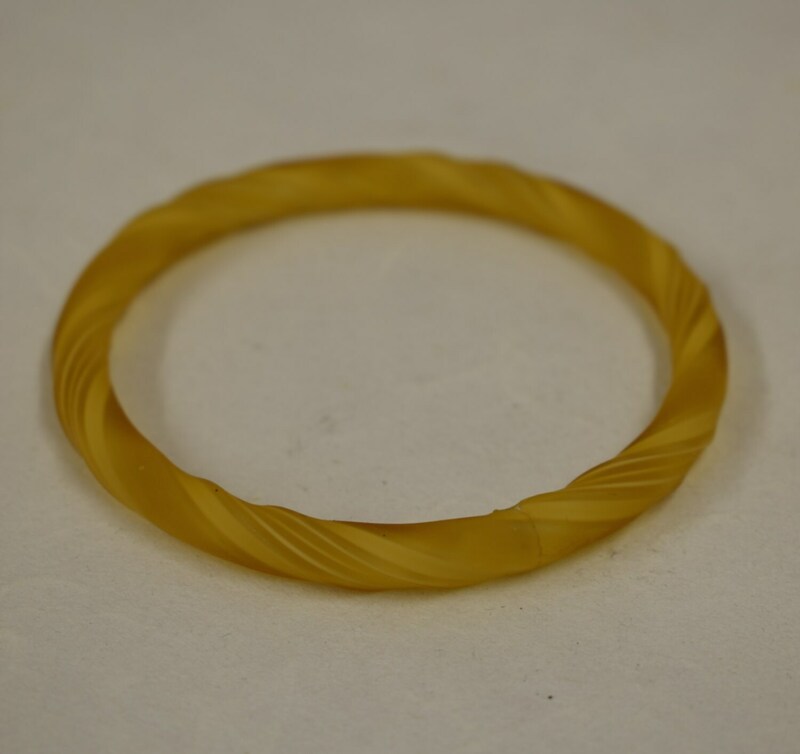 This is a wonderful vintage Hand Blown Yellow Glass Bangle Bracelet from China. 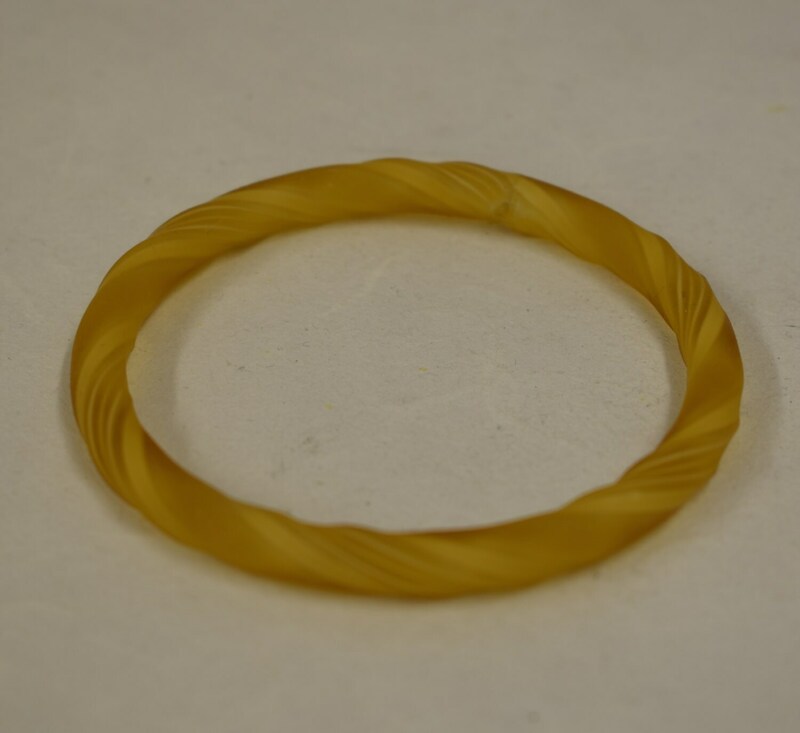 The bracelet is a glass ribbon twist style. A are unique item that I sold 20 years ago in my stores. They are considered collectable, and due to being hand blown is one of a kind, A wonderful treasure to wear to to give as a gift.